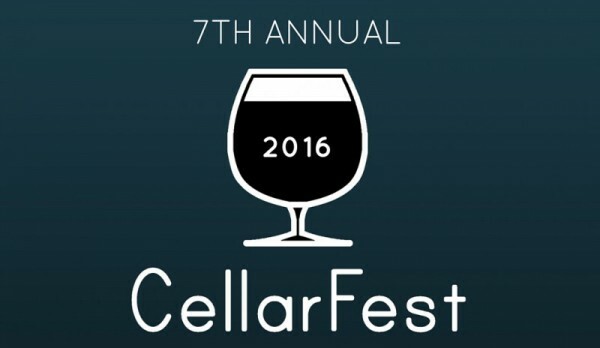 The 7th annual CellarFest at Bailey’s Taproom (213 SW Broadway) takes place Saturday, 23 January 2016 from noon until midnight. Admission is free – you just pay for the beers you drink. This is Bailey’s yearly celebration of rare, high octane brews that have been set aside to cellar age. The beers this year are a an exotic blend of West Coast craft brewery favorites spanning a full decade! Chewy, smoky, rich and roasty, Alaskan’s annual release is a treat for both dark beer lovers and fans of German rauchbiers. The process of smoking the malts prevents spoiling and preserves its robust character, helping it to evolve gently over time. Every year, Anchor releases its Christmas Ale, a Brown Ale base with a tweaked recipe and different tree needles and spices added to the mash. Ideal for aging and mellow maturation. A blend of European influences, Pappy’s is a bourbon barrel aged strong ale brewed with six malts of Belgian & British origin. Matured in 9 & 10 year old bourbon barrels for 2-4 months. A dense and full-bodied Imperial Stout with black licorice that ages for an entire year before its release; we decided to hold onto it even longer. This strong Belgian ale is amber in color and full of flavor. The fruity, slightly spicy aroma, enhanced with a subtle touch of bourbon, will leave you warm but thirsty for more. A strong dark Belgian ale fermented with a yeast from Inglemunster in Belgium, along with a house yeast from Rochefort, Goliathon is a roasty, malty brew with fruit-forward overtones and just a hint of roasted bitterness. Firestone’s flagship beer brewed to double strength. Immense toffee, vanilla, coconut and caramel malt married with American oak aromas. The first sip develops with sugary caramel, molasses and vanilla, finishing with English toffee and toasted coconut. 10 Squared is an intense barleywine with 10 different malts and 10 different hops, brewed to be bold and boozy at 10%. Aging helps mellow the alcoholic burn and cause the malt and hop flavors to intertwine around your tongue. An American Wild Ale fermented and aged on oak for a year. Pitch black with notes of licorice and roast complimenting the mouth-puckering sourness from a mixed fermentation with lacto, Brett b and c, and Kölsch yeast. From Bardstown, Kentucky, the Bourbon capitol of the world, to the Northwest coast of Oregon – a truckload of freshly emptied Willett Bourbon barrels rolled into Fort George Brewery, filling the block with a strong oaky aroma. The brewers dutifully filled each one with rich, dark Cavatica Stout and positioned them in the Lovell Showroom windows. And there they sat through the spring, summer, and fall months, aging until the brewers determined it was time. Imperial Stout aged for about 10 months in Bourbon casks from Kentucky. Imperial Stout – A generous infusion of Denver’s own Pablo’s espresso adds yet another layer of complexity to this beer, combining with the vanilla oak character, intense roasty maltiness and bold hop profile. Six different types of malt, complex hop profile, espresso and chocolate flavors. This winter warmer features a luscious fruity, caramel aroma with resinous hops and a malted toffee flavor followed by a warming finish. Old Ale brewed with classic floor-malted Maris Otter Pale Malt and Fuggles Hops imported from England. Brown ale aged in Pinot Noir wine barrels for one year with sour cherries, Brettanomyces yeast, and Lactobacillus & Pedicoccus bacteria. Belgian Strong Ale brewed with Anaheim chiles and cinnamon.